I made this card with my cousin in mind. 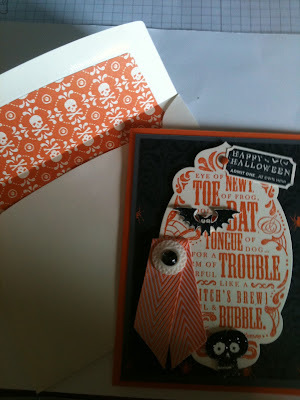 She loves all things Halloween so I wanted to integrate as many stamp sets as I could! It was a personal challenge of mine! I used four different Halloween sets for this card, not to mention the Witches Brew Designer Series Paper - which I just LOVE (come back tomorrow to see it again!). I was looking for a black button to use but couldn't find any, so I used this Very Vintage Designer Button with a large Rhinestone on top (which I colored black with a sharpie). Doesn't it look like a creppy Halloween eye ball? 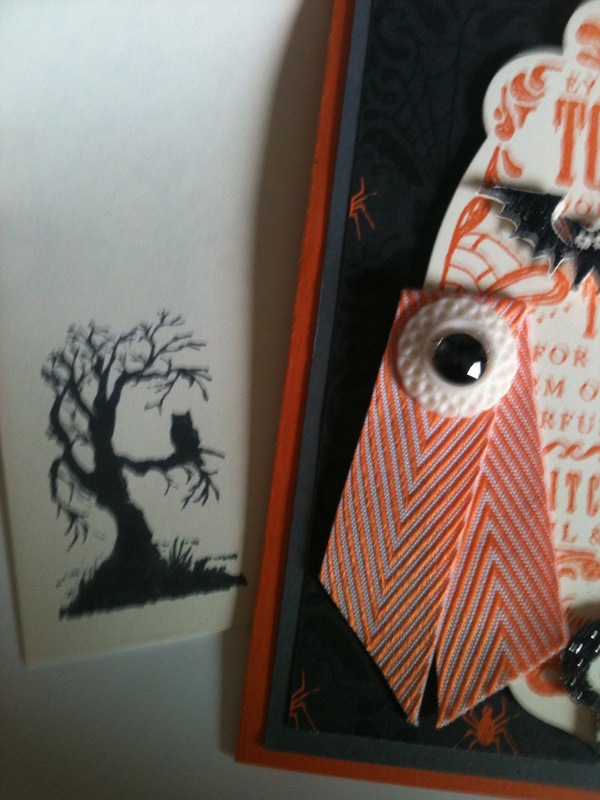 I snipped out the bat from the Halloween Hello Stamp Set. It's hard to see but it's completely covered with the black glitter. This is a picture of the inside of my card. 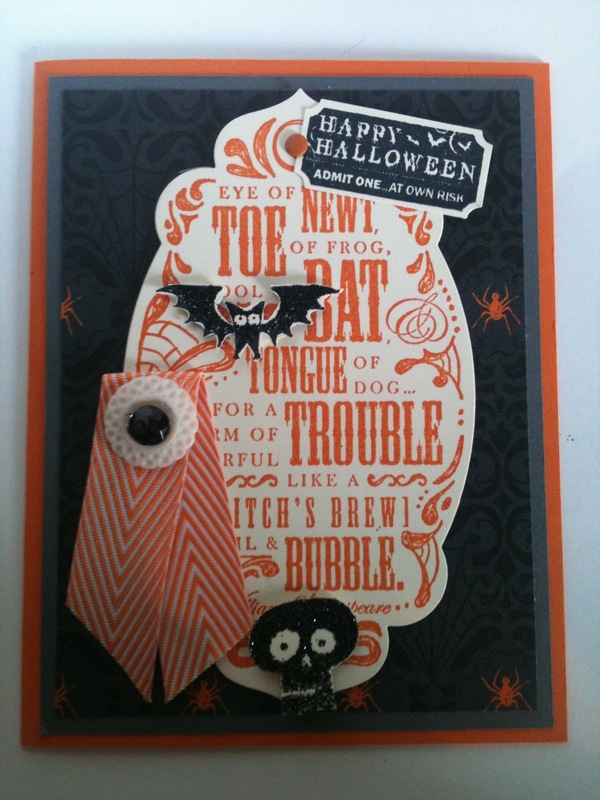 I stamped it using the Best of Halloween Stamp Set. I used the Basic Gray Ink for the border (I stamped it several times in a row). 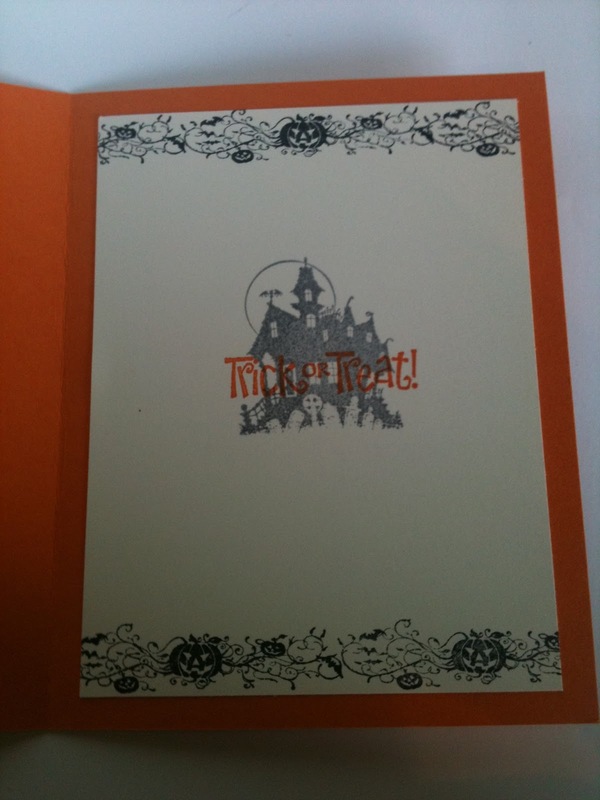 For the Haunted House I stamped off the basic gray once and then stamped it (giving it a lighter color). I think stamped the Trick or Treat on top of it with the Pumpkin Pie Ink. 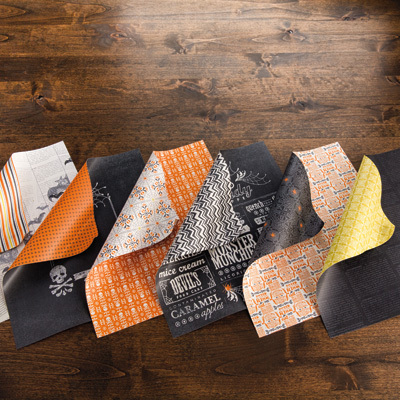 Now that we have the Envelope Liner Framelits and the Envelope Punch Board I find that I am not hoarding as much DSP - which is great for space. Though I do admit that it's very RARE for me to use a current DSP for either items! 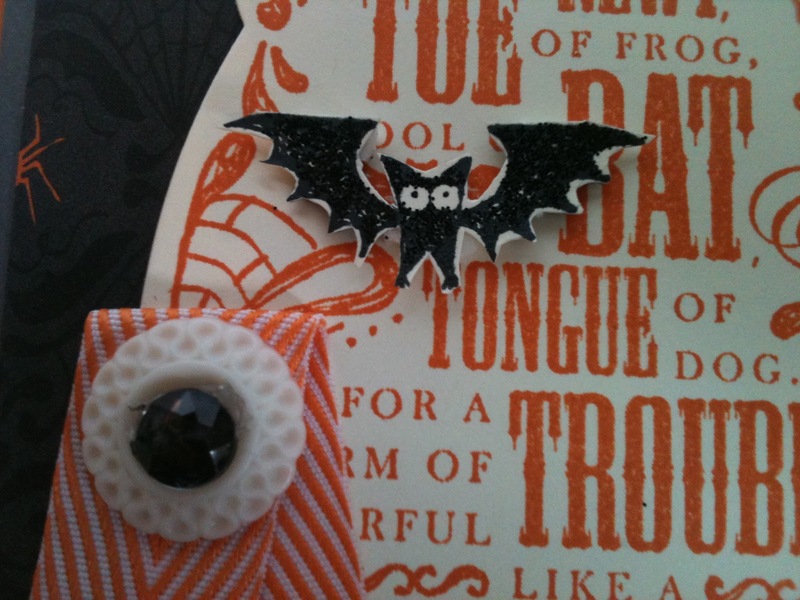 Here is a picture of the DSP I used... if you love Halloween you NEED to order some today! I was just scrolling through your posts and the "eyeball" keeps catching my eye. I LOVE it! Such an awesome idea. Thanks for sharing it!